Legends of Yore is a casual roguelike, that is in tries to bring the wonderful experience of the roguelike to more casual players by avoid the more harsh aspects of the genre. The game is diablo-esque in style, requiring the player to explore an overland area to find procedurally generated dungeons and kill boss creatures deep within. There are 3 initial classes with 6 additional classes available at level 50. 100s of items and monsters fill the world of Yore providing a rich and rewarding experience. The game world is currently 30,000 square tiles and growing all the time. Well it is, isn't it. I'll try to update here regularly with a feed of what I've been doing. 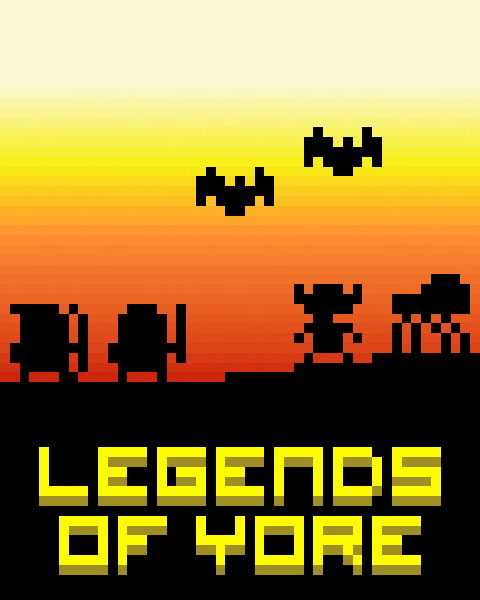 Legends of Yore is under constant development so there's always something new being added. Right now the number of quests are being bulked up and I'm looking at possibilities for pets. They will be available for level 100+ players over in Toronega the Pirate Town. There's also going to be a set of new 100+ items very shortly. Been playing this game for a while now - and it always gets better. Excellent work. Fully cross-platform, constantly evolving... I'm an early adopter of the game on Android and I'm still fond of it.